COMPLIANCE SHOULD NOT BE COMPROMISED. CHOOSE THE LEADER. The SEC uses the NIST Cyber Security Framework as its compliance model and includes five control areas – identify, protect, detect, respond and recover. 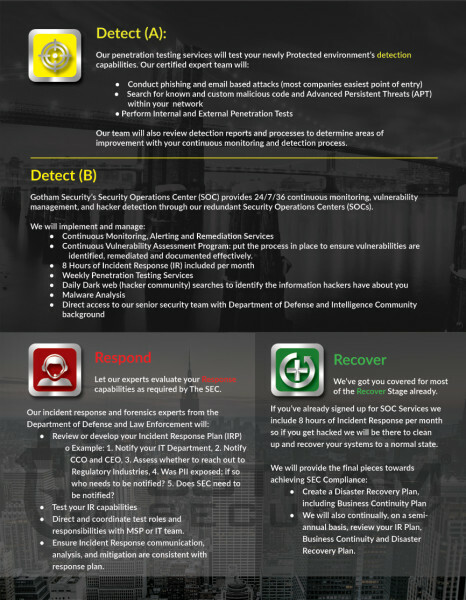 Gotham Security is the only cyber security firm that specializes in all five of these control areas as mandated in the SEC’s guidelines. Gotham Security has worked with hedge funds, private equity firms and other financial institutions to ensure they are compliant and protected. Our experience in this field is unmatched. 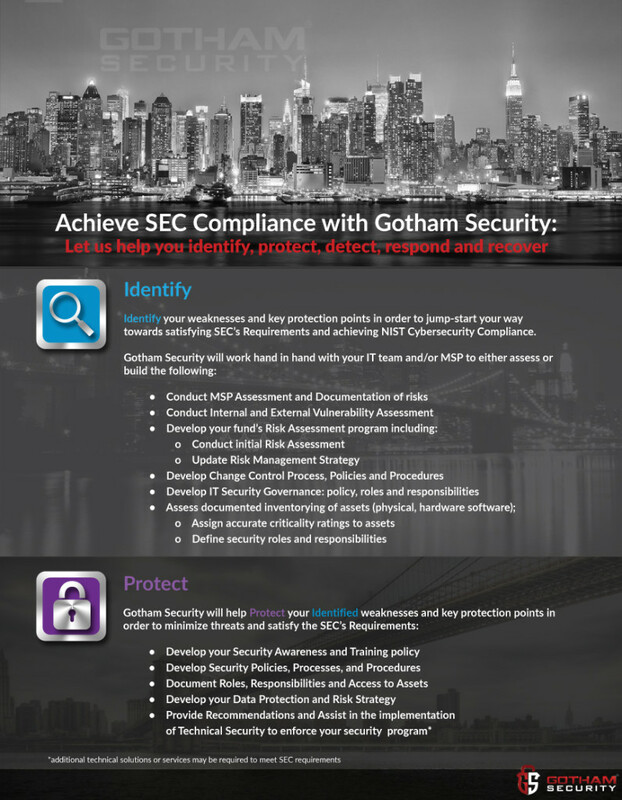 For more information about SEC cyber security compliance, please contact us at info@gotham-security.com or 917.734.4120.